By providing litter removal, graffiti abatement, pressure washing, sweeping, weed abatement, public recycling, gum removal and other cleaning services consistently throughout downtown Minneapolis, we show how much we care about our city. DID’s services are meant to supplement and enhance, but not replace, those performed by private properties and the City of Minneapolis, thus creating a consistent experience throughout a 120+ blocks of Downtown. The Mpls Downtown Improvement District (DID) provides graffiti removal from public spaces within the district boundaries. Additionally, for a fee, MDID will provide this service to private properties within the district. Through our service provider, Block by Block, the DID will remove or cover graffiti from the first floor of buildings or other structures whenever the graffiti is visible from the public right of way. With the permission of the property owner, Block by Block will automatically remove this graffiti within 24 hours of observing it or within 24 hours of receiving a request from a property owner to remove it (subject to weather conditions, Sundays and holidays excepted). DID will contact the property owner for approval prior to proceeding with any graffiti removal that, due to unusual application or size, will require a greater fee to remove. If you would like to receive this service, please submit a separate right of entry graffiti removal authorization consent for each building you authorize the DID and Block by Block to keep free of graffiti. This should be faxed to our Downtown Operations Center at (612) 332-1121 or can be emailed to [email protected]. The consent may be withdrawn at anytime by submitting written notice to the same location. During the spring and summer months DID Ambassadors pressure wash the sidewalks in the 120+ block district on a regular rotation to keep downtown sparkling clean! In addition to this regular rotation, Ambassadors assist in cleaning up the sidewalks following events, parades, construction, farmers markets and other activities to maintain a consistent level of cleanliness. From removing snow from Nicollet Mall, maintaining the public art and infrastructure to keeping irrigation systems working, we're doing the extra things that keep downtown humming along and welcoming to all who work, shop, live or visit here. In 2011 DID launched the first outdoor recycling program in Minneapolis with a 20 can pilot program on Nicollet Mall. The pilot program was so successful Mpls DID sought grants and private sponsorships to expanded the program to 100 cans in July 2012. Bright green single-sort recycling cans now span along Nicollet Mall and Hennepin Avenue. DID hopes to expand public recycling throughout 120+ blocks of downtown by 2015. 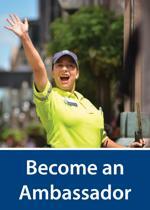 DID also creates awareness campaigns to motivate all downtown patrons to do their part and keep our downtown sparkling. "No Butts About It.. Cigarettes Are Litter" is a campaign of the DID that educates the public that cigarette butts are not bio-degradable and should be disposed of properly. Mpls DID services are focused in the public right-of-way. However Ambassadors keep an eye out for private property damage, potential hazards, graffiti and other issues and notify the responsible party. DID Ambassadors can assist with the removal of graffiti on private property for a small fee, please click the link below for more details on graffiti removal services.